The official website of the British Biology Olympiad, Intermediate Biology Olympiad and Biology Challenge. A new reduced participation fee has been introduced for the British Biology Olympiad 2019 and Intermediate Biology Olympiad 2019 to encourage students to enter. 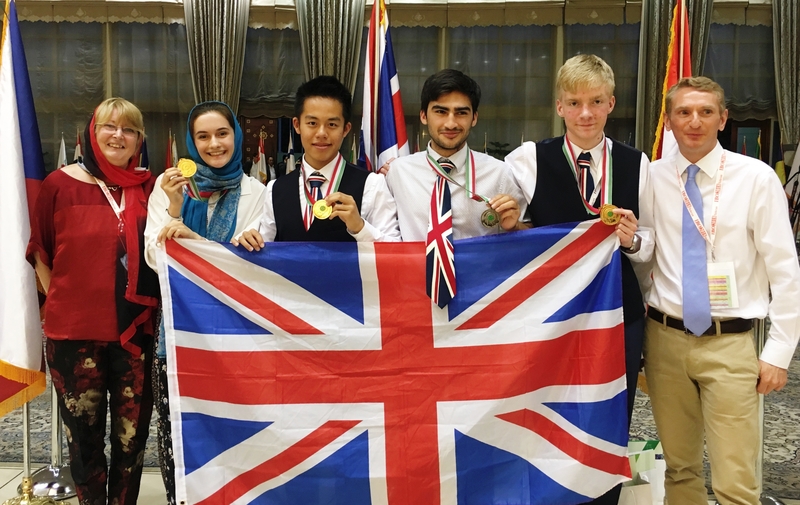 The students who represented the UK at the International Biology Olympiad 2018 in Tehran, Iran won three Golds and one Silver! This was best ever result for the UK competing against the best young biologists from almost 70 countries. The UK team at the International Biology Olympiad 2018 (from left to right: Maggy Linford, Rebecca Marrow, Brandon Tang, Amir Guppy, Patrick McCubbin, Jon Bennett).